It’s “Papa Haydn’s” birthday today! How Haydn’s “Farewell” Symphony may have looked, back in the day: the cellist is outta there. Franz Joseph Haydn is considered a father figure in classical music – the “Papa Haydn” nickname originated with his fatherly and generous personality. Classical music owes so much to Haydn – he refined the structure and form of the symphony, the string quartet, and the piano trio. Haydn’s output was incredible, due to his plum job as Vice-Kapellmeister with the wealthy and royal Esterhazy family. Based in Eisenstadt, Austria, Haydn was in charge of all music required for court events, birthdays, and balls held on their remote estate. (A few years later, he was promoted to Kapellmeister when the person who held the title died.) Part of the reasons for Haydn’s originality was due to not living in city centres, to pick up on what else was going on, so he was left to his own devices. In the thirty years he was employed by the Esterhazy family, Haydn was assigned compositions to write; he ran the orchestra, played chamber music, and mounted opera productions. He was overworked and considered one of “the help” like any other servant, but the cage was guilded, and he was comfortable. While the workload was heavy, he was able to develop his style and get paid to do what he loved to do. 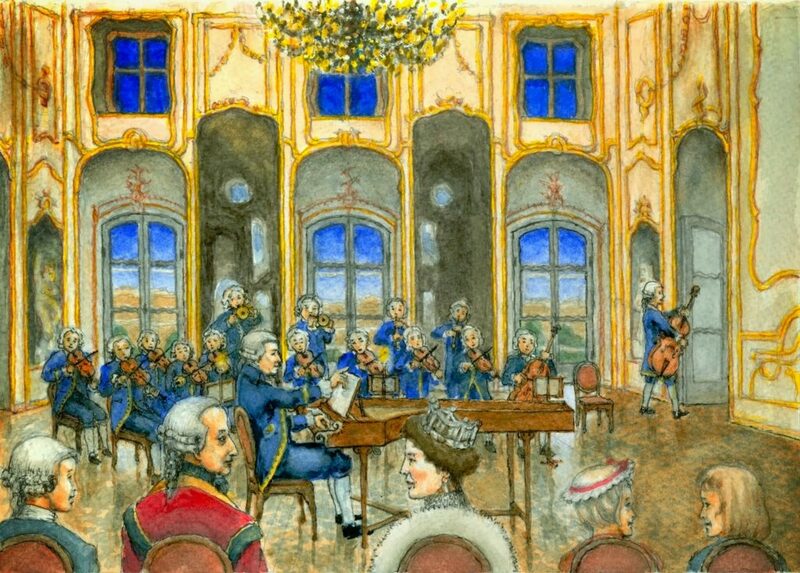 The Esterhazy princes also loved music, appreciated Haydn’s work, and gave him access to his own small orchestra. Haydn also befriended Mozart, and promoted his talent wherever he could. He also accepted Beethoven as a student, and taught him music theory. Haydn sometimes incorporated gentle humour in his works; one example is the Farewell Symphony, in which the orchestra was forced to head out for the summer to the Esterhazy palace in Hungary. The musicians longed to return home to their families, so Haydn wrote into the work that musicians snuff out the candles (today, turn off the music stand lights), and leave, one by one. Prince Esterhazy got the message, and the next day, everyone headed back home. The Finale of Haydn’s “Farewell” Symphony No. 45, performed by New Century Chamber Orchestra, lead by violinist Nadja Salerno-Sonenberg. Franz Joseph Haydn was born March 31, 1732 in Rohrau, Austria, and died May 31, 1809, in Vienna.